It’s spring again but you wouldn’t know it to look outside; were all itching to get back into our gardens and enjoy the season but who wants to brave the drizzle? Conservatories might as well have been invented for the UK, they bring the outside in and the inside out, you can enjoy your garden without succumbing to flu all year round and, if we’re lucky and the weather brightens up, we can still fire up the barbeque and get out on the grass. Our families are growing but the housing market isn’t keeping up. So many of us are desperate for a little more space to stretch out legs but the cost and hassle of moving to a bigger property are daunting and, sometimes, not possible. A conservatory gives you the chance to utilise unused space in your land; if you’re looking to free up space inside your house an extra room is a godsend, though traditionally used as sitting rooms or hobby rooms a conservatory can be what you make of it; you could turn it into a living or dining room to free up house space for an extra bedroom here and there. Over time it is important you check for asbestos on roofs, as conservatories tend leak over time. 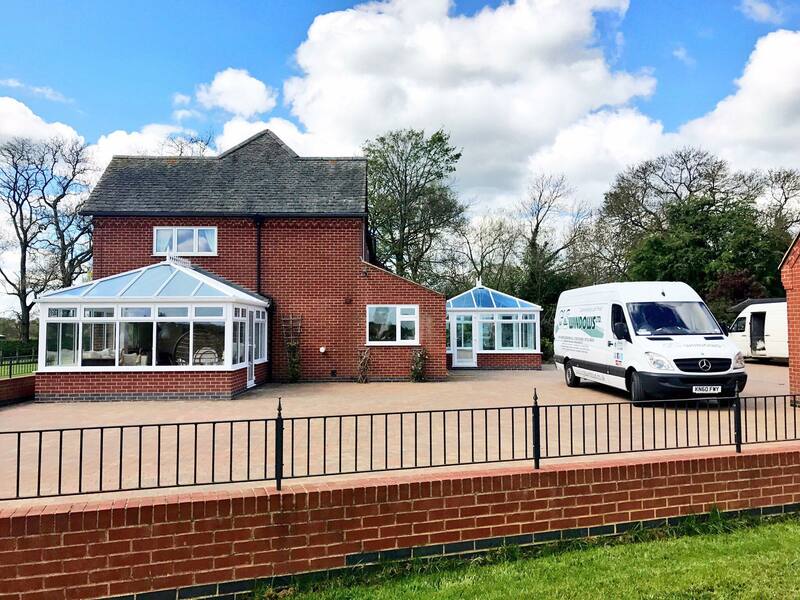 Not only is a conservatory a more cost-effective solution to space than moving house, it also adds essential value to your home, both in terms of money and appeal. A well-built and beautiful conservatory offers benefits not just to you but to potential buyers, so if in a few years you’re still thinking of moving up the property ladder a conservatory could prove a great first step. Conservatories are popular because they are beautiful, light-soaked and ambient rooms that can meet any need. It can be the sanctuary you need after a long day of work, just sit inside and watch the world go by. Its uses are limitless: turn it into a hobby room, a child’s playroom, a sitting room or a room to entertain friends; however, you unwind a conservatory can be the place it do it. At GLS Windows we have the solutions to any of your window, door, roof or conservatory needs. For more information on the services, we provide call us now on 01455 202 985 or get in touch online and we’ll bring our expertise to your home.